Slinging burgers is big business and, until recently, it has been a business dominated by names like McDonald's, Burger King, and Wendy's. The success of the East Coast's Five Guys and it's West Coast counterpart In-N-Out has changed all of that however, and now "fast casual" is the cool new kid at school. This growing market has not gone unnoticed by entrepreneurs, however, and now there are numerous copycat chains popping up across the country. Most are content to simply imitate the formula set forth by Five Guys, but one business in particular has chosen to do something substantially different. The first Elevation Burger ("A higher burger, a down-to-earth price") was launched in 2005 and the chain has since grown to include 24 restaurants (and counting!) that stretch from coast to coast. Their product is based on the idea that "fast food doesn’t have to be junk food" and this is not simply another marketing slogan. Elevation Burger actually offers 100% grass-fed, free-range, and organic beef that is fresh-ground on premises as well as gluten-free freshly cut french fries that are fried in 100% olive oil. They also seek to achieve LEED building standards for their restaurant locations, a further reflection of their commitment to do well by doing good. Surprisingly, Elevation Burger's prices are comparable to their competition and they are generous with their portion sizes as well. The focus on ingredients extends beyond the kitchen and includes top-notch staff as well. During a late-evening visit, the Austin Texas location happily offered to lettuce wrap the burgers of myself and my dining companions and patiently fielded numerous questions about their food. Elevation also earns mucho bonus points by featuring my favorite hot sauce (Cholula), having a old-school (aka worth using) frequent buyer's punch card, and by offering the "Vertigo Burger" a 3 to 10 patty behemoth that is sure to satisfy even the heartiest appetite. 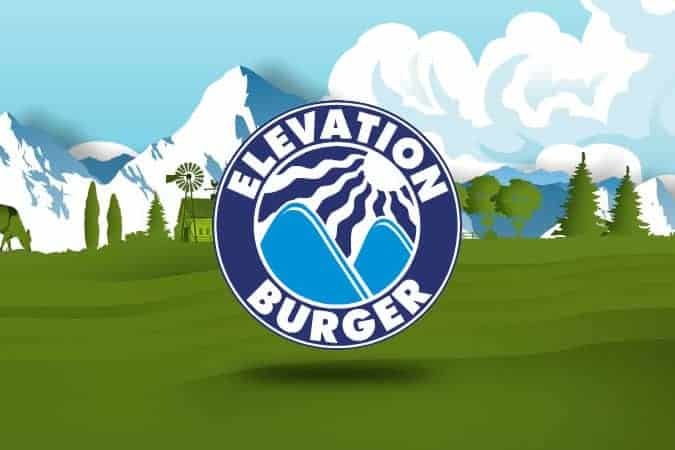 To see if there is an Elevation Burger near you, check out their restaurant locator, and, if you are an entrepreneur looking to garner everlasting favor from this particular evolutionary health blogger, please open a location in Orlando Florida. Also there burgers are damn good. Only complaint is that it would be nice to have additional sides to choose from besides carb heavy fries and a little cup of mandarin orange sections. I agree that some expanded side options would be good, but Elevation Burger is hands down the best burger chain I have yet to come across!